However, this week, the summer has finally (hopefully!) gasped it’s last breath, and the temps are much more reasonable again. My hubby and I are especially excited since that means it’s pumpkin bread time! 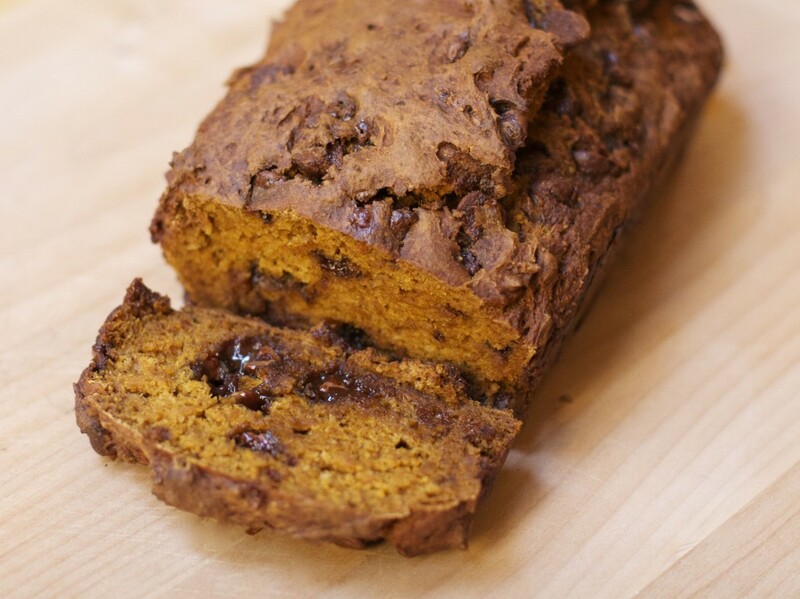 We LOVE pumpkin bread, and I usually make it many many times each fall. This recipe is also particularly special to me because it’s the first quick bread recipe I ever developed. 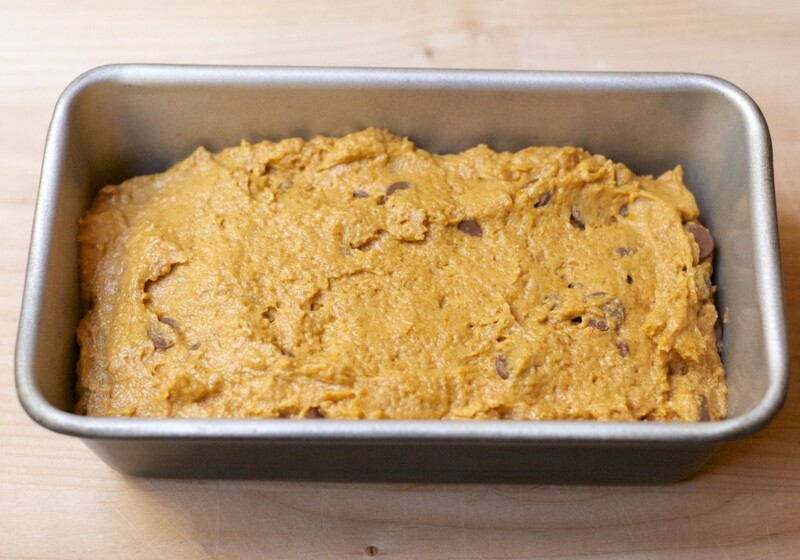 I’ve always loved pumpkin pie, and while I was in college, I wanted to try to make pumpkin bread so I could enjoy those flavors in a healthier form. I also wanted to maximize how much sleep I could get by being able to eat breakfast while walking to class, and cereal with milk was obviously not going to cut it. I looked through my mom’s cookbooks, but couldn’t find a pumpkin bread recipe, and this was back before you could find recipes online, so I decided to develop my own. I lived in the dorms, but often went home on the weekends, so I was able to bake a loaf of pumpkin bread and bring it back to school with me. It was a wonderful thing to wrap up my thick slice of bread and savor it as I walked to class each morning. Over the years, I’ve tweaked the recipe a bit (and also started adding chocolate chips at the suggestion of my chocolate loving hubby – don’t balk at the idea – it’s FANTASTIC!! ), but it’s still very similar to the bread that often acted as my most important meal of the day back in college. Preheat oven to 350 degrees. Spray a 9×4 loaf pan with non-stick spray. 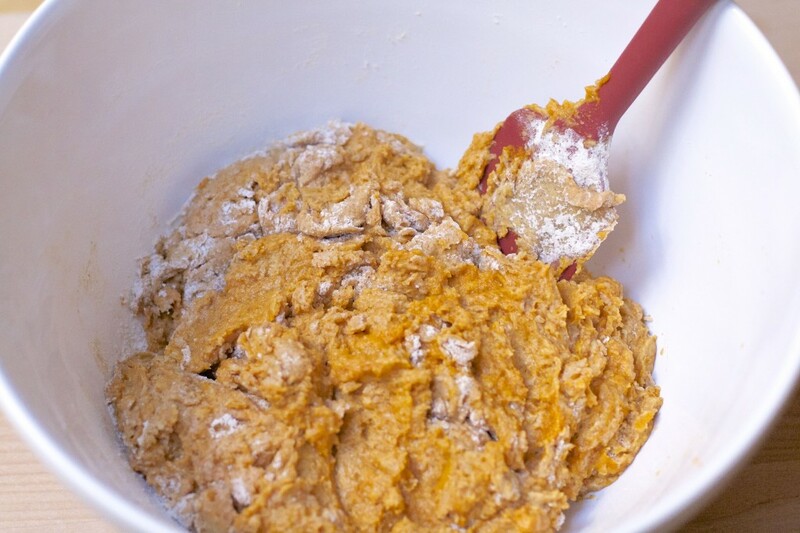 In a large bowl, mix the pumpkin, eggs, milk, and vanilla till combined. 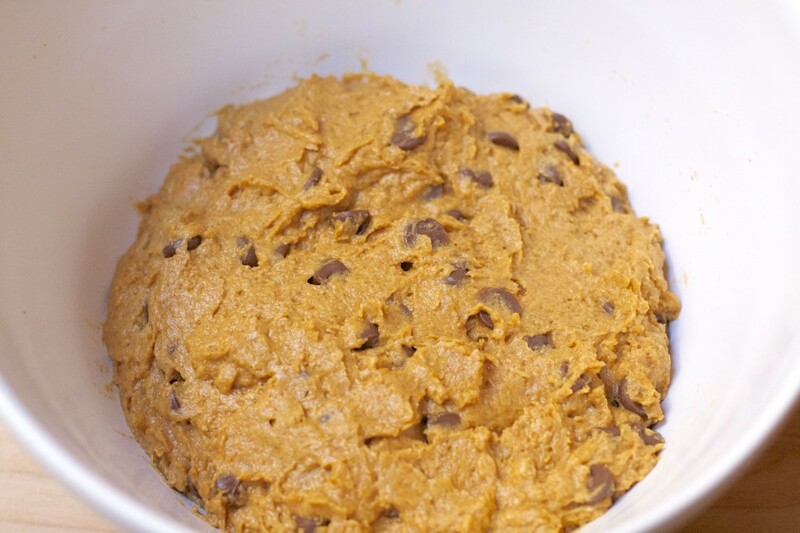 In a separate bowl, add all of the remaining ingredients, except the chocolate chips and mix till combined. Add the dry ingredients to the wet and mix till about 3/4 combined. Add the chocolate chips, if using, and mix till everything is just combined. Do not over mix. Transfer to the greased loaf pan and somewhat smooth out the top of the batter. Bake for 55-60 min., or till a toothpick inserted in the center comes out clean. Note: To make into muffins, spoon batter evenly into each cup of a muffin tin sprayed with non-stick spray or lined with paper liners. Bake for about 25 to 30 minutes, or till a toothpick inserted in the center comes out clean. Makes 12 muffins. Do you have a favorite fall recipe that you can’t wait to make every year? Do your friends and family beg you for it as soon as the temperatures start to dip down? Let us know all about it and how it first became a tradition in your family! Speaking of fall…boutique season is already upon us and we are so excited! Our first holiday boutique is one week away!!! Be sure to check back tomorrow when we will be sharing all the details about where to find Throne of Grace over the next few weeks. We always LOVE the opportunity to visit with our customers face to face! This looks delicious, Tami! My favorite thing to make in fall is roast veggies! I will be making this recipe in muffin form. I’ll be adding white chocolate chips instead of the chocolate ones. Wow! Sounds great! Let us know how it comes out! I’ve never tried it with white chocolate chips before!